Kawartha Lakes Mums - News You Can Use! Kawartha Lakes Mums is designed to help people in our rural area connect to family friendly local businesses, organizations and events in City of Kawartha Lakes area, and in some cases, businesses that deliver to City of Kawartha Lakes. Do you have some local news to share? Do you have a local business in the City of Kawartha Lakes area? Kawartha Lakes Mums offers free and paid advertising opportunities for businesses that meet our advertising policies. Permanent No follow link in old post - $15. No Follow Link in new posts - $1 per month or $10 per 12 months. Advertorial written by us with permanent No Follow link to your site - $35 Includes 1 Social Media Share on each of our platforms. Advertorial written by you with intro by us with permanent No Follow link to your site - $20. Includes 1 Social Media Share on each of our platforms. Giveaways - prices as above plus the provision of a prize to the winner with ARV min $25. Follow Kawartha Lakes Mums on all our social media platforms. Write a 500 word 3rd person "About the Author"
Write an article using one of the 15 Headlines. Drop us a confidential note on our Facebook page with the above information. Note: People rarely enjoy reading ads. Please write about something related to your business, for example : a knitter might write about fashion trends in knitting, knitting trivia, knitting history, knitting events - no, your next sale is not an event. Imagine that you are writing something that someone with no possibility of making a purchase from your business would enjoy. This will make your writing enjoyable for everyone. Open a free online store through our link for your business and place your goods in front of thousands of affiliate marketers who are waiting to share your business with the world! We give top priority to advertising from businesses associated with our advertising agency. Local Family-Friendly Businesses can post a free ad that meets our advertising policies in our City of Kawartha Lakes Facebook Business Album . Please Message Our Page your proposed ad for approval before posting.There will only be one warning given, a second violation will result in your page being reported for spamming our page. 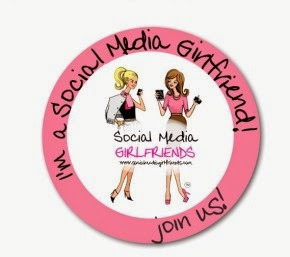 Watch for free advertising giveaways by Following us on all our social media pages.